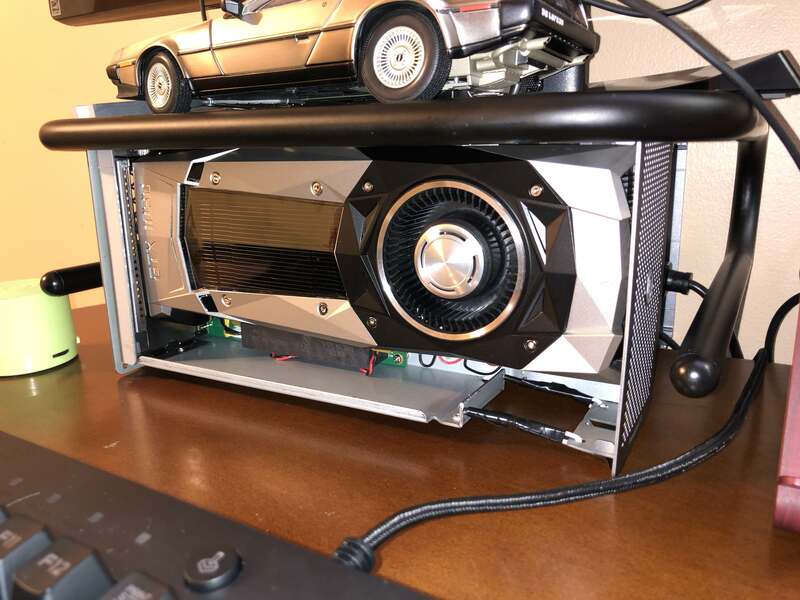 In my last post, I showed off my GTX 1060 SC setup. 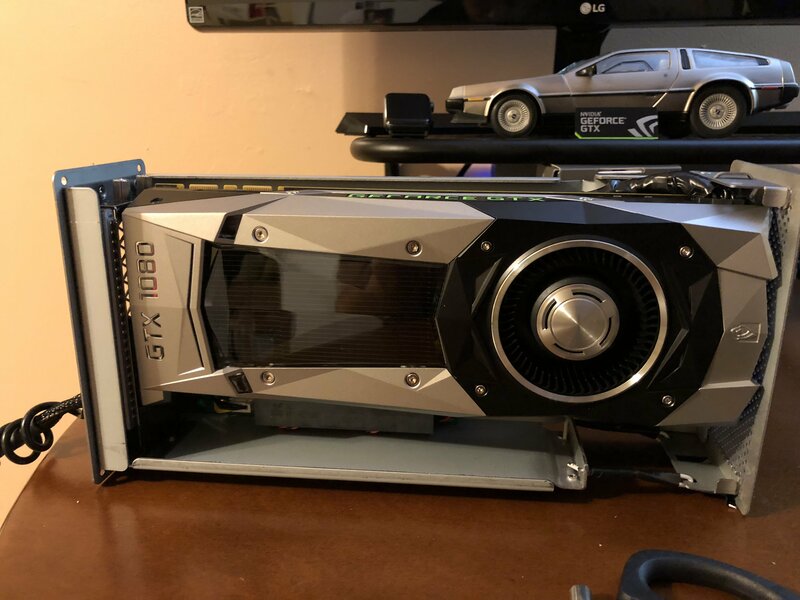 Since then I got the itch and ended up getting a GTX1080 Founder's Edition. At first I was hesitant to mod the Akitio Node Lite in order to get the GPU in there because of the cost of the enclosure, but after seeing the difference in quality between the 1060 and the 1080 I decided to go for it. For all interested, the deconstruction of the enclosure was pretty simple. 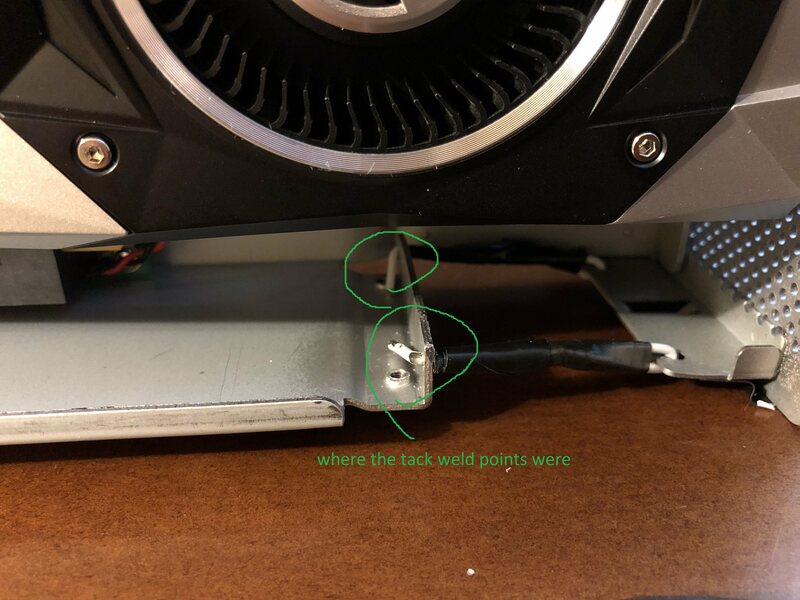 I had seen another post with someone taking apart the Akitio Thunder2, and it involved a jewelers screw driver and a lot of hammer-tapping to undo the tack welding holding the enclosure together. With the Node Lite, there are only 2 small points so it was quick. After that I just bent the fan part out so it was as straight as could be, then popped it in. Once everything was settled, I took the front and back of the enclosure and was actually able to just put them on. The front part took a little Mcguyvering. As you can see in the photos, the top part of it screwed to the original mount point, however the bottom part needed to be anchored to the enclosure with the help of some wire hanger. 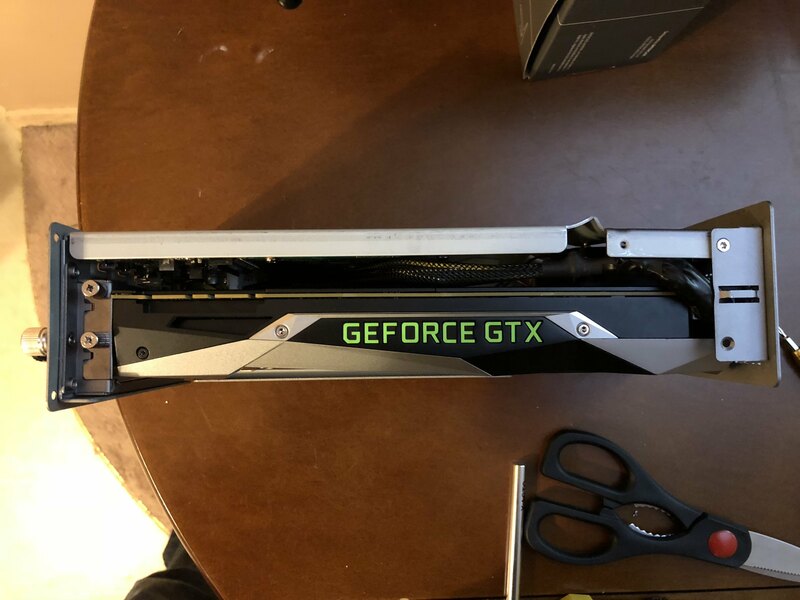 Mike, am loving the open-top look of your GTX1080-FE. 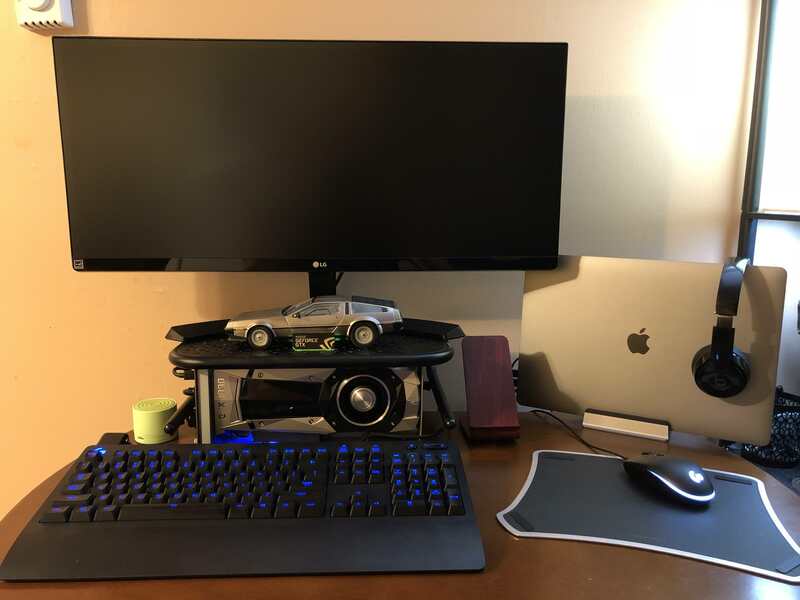 Thank you for submitting your modified AKITiO Node Lite eGPU implementation. Did you want to add successful High Sierra driver support to your implementation? So does this work in 10.12 or only 10.13? It is unclear if this is only performing in windows 10? Love the implementation but anxious to know more details! Im trying to reply to you but this forum never seems to let me do so. I've only tried this in High Sierra and Windows 10. Can't speak to its compatibility with Sierra. I'm getting a Razer Core tomorrow that's hopefully as plug and play as this was.